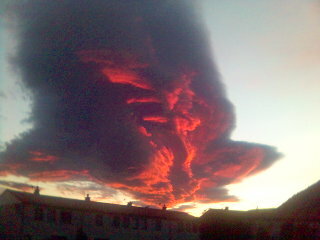 Took this photograph last week of very large cloud over my village at sunset. 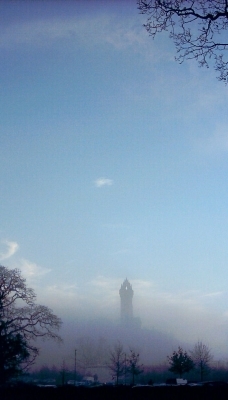 I only had my phone camera, hence the poor quality but an interesting sight nevertheless. I’ve been playing around wth the geo tagging tool on Flickr which lets you drag an image onto a map and tag it with its geographical location. 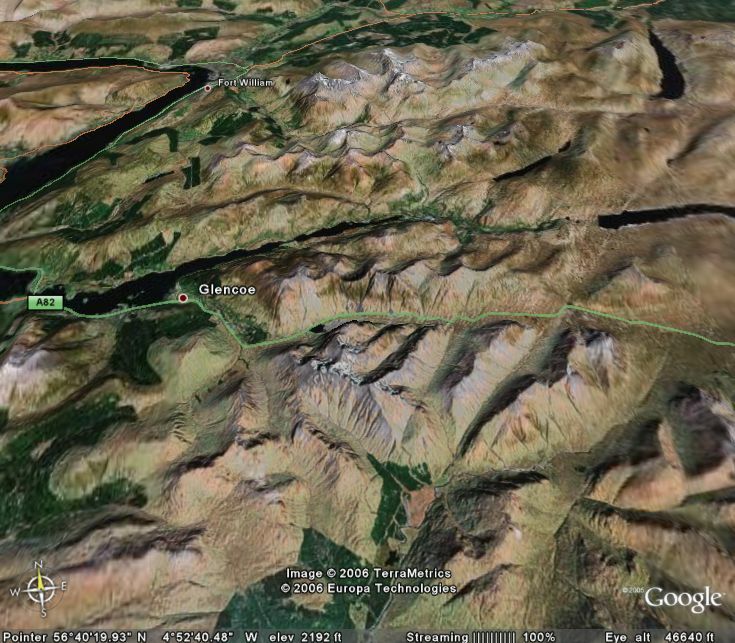 It uses Yahoo maps which seem to have much less detail than Google maps, certainly as far as Scotland is concerned. 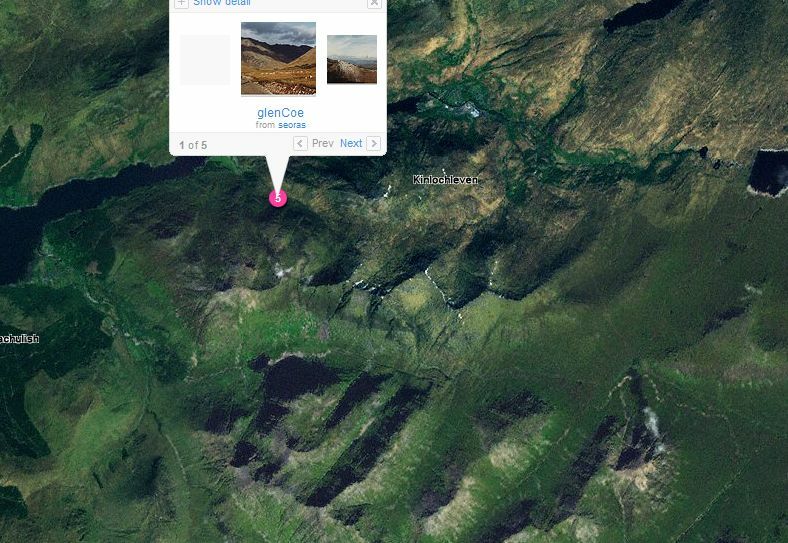 If you take these two views of Glen Coe, the first was produced by Google Earth and the second with Yahoo maps on Flickr. Yahoo may be pretty good with cities etc. but I think Google wins hands down when it comes to more remote areas. I’ll certainly be adding more images to my Flickr account and geo tagging them. I like Flash, I like what can be achieved in Flash by those who know what they are doing, I’ve tinkered with a few things in Flash but never really had the time to get to grips with it. I tried to get a Flash based image gallery to work but eventually gave up. Now I’ve found a fantastic, simple and free utility called Simpleviewer from Airtight Interactive. You also need eitherPicasa or Porta. I use Picasa all you have to do is place Simpleviewer in the Picasa templates folder, choose a folder of images and save as a web page using the Simpleviewer template, voila! a cool Flash image gallery. Like many people I have been taking multiple photographs for years. In the old days it was a case of trying to line up the prints and sticking them together to get a panorama. Sometimes this worked OK but mostly it was clumsy. Today with digital cameras the whole thing is very simple now and there are a buch of ways to stitch images together. One of the best image ‘stichers’ I’ve come across is autoStich. This is a very simple, easy to use free program and more importantly, it works. In fact I had a set of images from the Isle of Skye I’d been unable to stitch, but autostitch managed it in seconds. But how do you display a panoramic image in a blog? There are a number of ways you could do this. You could for instance use zoomify and I’ve uploaded a small test image. Or, you could use a java applet to pan the image in a small window such as PTViewer3.1.2 by Helmut Dersch. Below is an example of a great WP plugin from skriker which uses the PTViewer applet. This is extremely easy to implement in a few seconds, and is easy to customise. Came across these fantastic aeriel photographs. I think this is a Korean site, although the photographs seem to be from many countries. There are a couple from the UK, Stonehenge and the white horse at Uffington. There doesn’t seem to be any reference to the origin of these images on this site but I managed to track them down to Yann Arthus Bertrand where you’ll find even more stunning images….enjoy.